21st April at 10:30 am. A link to the magazine is available on the Home page. 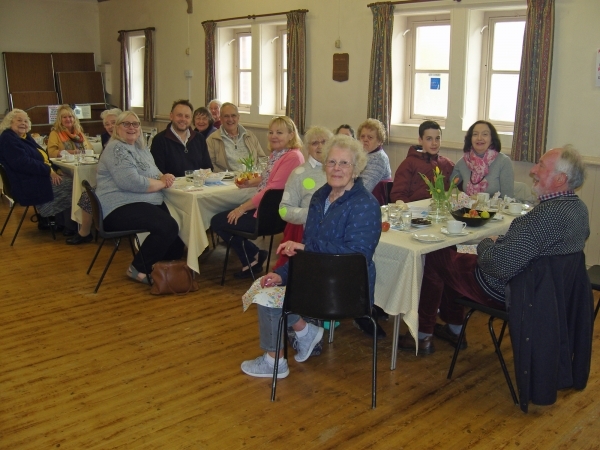 Our Lent Lunch on 10th April was held in Landkey village hall and proved to be a very happy and enjoyable occasion - as shown by the smiles all round! Image courtesy of Charles Waldron 10th April 2019. Bob and Jean Loveridge celebrated their 50th wedding anniversary on 5th April 2019. The occasion was also celebrated at our Family Service on 7th April with Angela Bellamy drawing inspiration from Bob and Jean to form the subject of her talk which was about the importance of love. 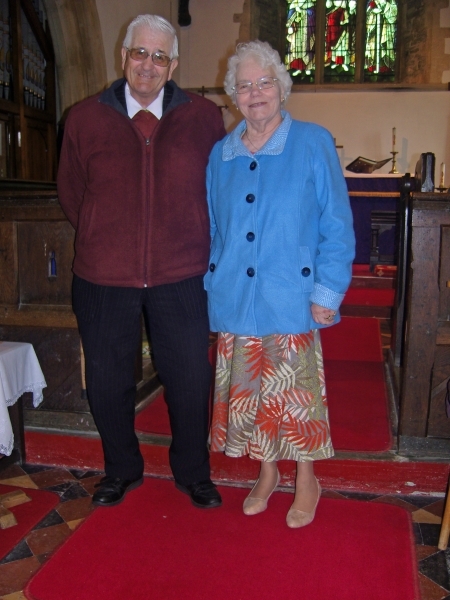 Here, Bob and Jean are photographed in front of the altar. Image courtesy of Charles Waldron 8th April 2019. Welcome to the website for St Paul's Church, the Church of England church for the parish of Landkey. The tranquil village of Landkey is situated just three miles from the busy market town of Barnstaple in North Devon. With a growing population in excess of 2000, a strong sense of community exists within the village and, of this, the church is an important part. As well as offering regular Christian worship, the church provides valuable links to other areas of the community such as the local Primary School and the Mothers' Union. St Paul's is a friendly church in which the Christian message is heard regularly by a congregation of around 25 worshippers. All are welcome to attend our services. All are especially welcome to join us as we celebrate Easter this week. At St Paul's we will be holding a Reflections of the Cross service on Good Friday, 19th April between 2pm and 3pm. Our Easter Sunday service will follow on Sunday 21st and we expect this to be a joyful occasion as we rejoice in the knowledge of the risen Lord. On Maundy Thursday, 18th April, a service will be held at 7pm at St Michael, East Buckland. On Good Friday at 7:30am, there will be a procession carrying a cross to the top of Hooda Hill, Swimbridge. At 6:30pm on Good Friday at St James' Church, Swimbridge a service of readings and prayers will take place. 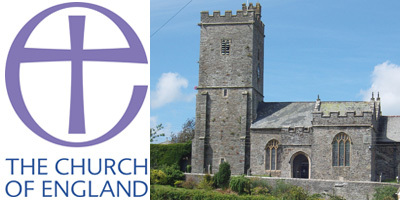 The Annual Parochial Church Meeting was held on Thursday 11th April 2019 in the church and was attended by members of the congregation as well as by officers. The meeting was chaired by Revd Shaun O'Rourke and the business was conducted in a friendly manner. 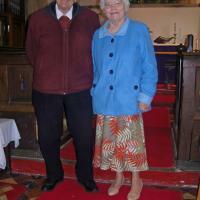 Hazel Price was re-elected churchwarden while Mike Foster was elected churchwarden for the first time. Eileen MacCaig stood down from her position as churchwarden after 16 years in that post. She was thanked and presented with flowers and a "Churchwarden Emeritus" certificate. The Annual PCC Report and Financial reports were approved. Eileen MacCaig was elected to the PCC (Parochial Church Council) and Charles Waldron was re-elected following the expiry of his previous 3-year term. Sidespersons were appointed, these being Cynthia Ashley, Eileen MacCaig, Elizabeth Nunn, Margaret Perryman, Hazel Price and Jean Loveridge. Anne Rumble also asked to be included. At the PCC meeting which followed the Annual Meeting, Eileen MacCaig was elected PCC joint Chairman, Peter Elder Vice Chairman, Tom Wilks Treasurer, Charles Waldron Secretary and Peter Elder Electoral Roll Officer. Thanks were expressed for the efforts of all who contribute their time and effort to enable the word of God to be regularly heard in our church. 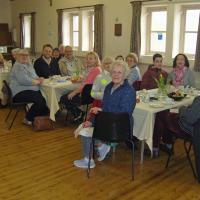 Worshippers from St Paul's were joined by other local residents in Landkey village hall for our Lent Lunch on 10th April 2019. Diners were offered a choice of five soups, including corn and bacon chowder and pea and ham to accompany the plentiful supply of bread rolls. Tea, coffee and chocolate mints rounded off the meal which was consumed in a relaxed and friendly atmosphere. Thanks are extended to the many people who helped with the lunch, and especially to Josie and Mike Foster and Angela Bellamy who were kept very busy serving soups and drinks and with washing up. Our Mothering Sunday service on 31st March was well attended and was enjoyed by all who came along. The service included a well-prepared talk by Josie Foster, and she involved the children and young people present in the readings. They did an excellent job and later helped distribute daffodils to all the ladies present. Eileen MacCaig and Angela Bellamy made cakes (Eileen’s was a Simnel cake) especially for the occasion and these were enthusiastically consumed after the service!